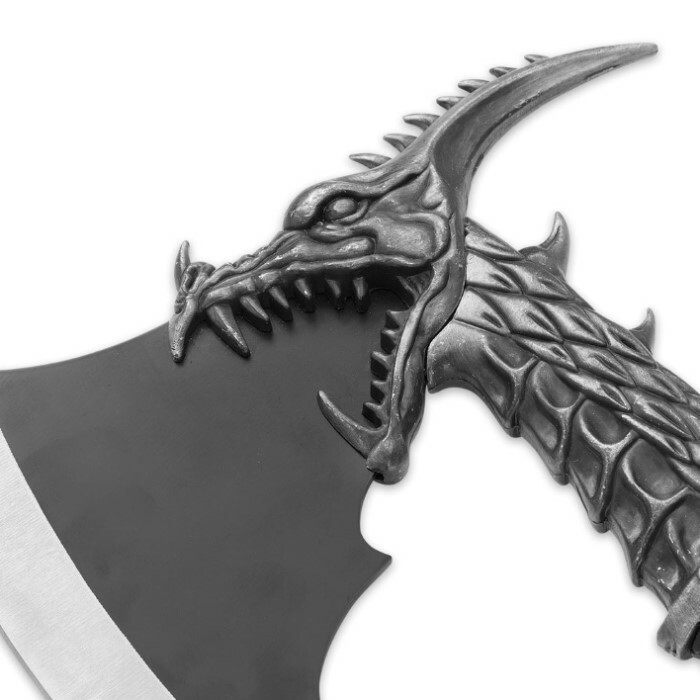 Our new Snarling Dragon Fantasy Axe is an axe like no other that you’ve seen! This fantasy piece features an intricately detailed dragon that has been expertly crafted. 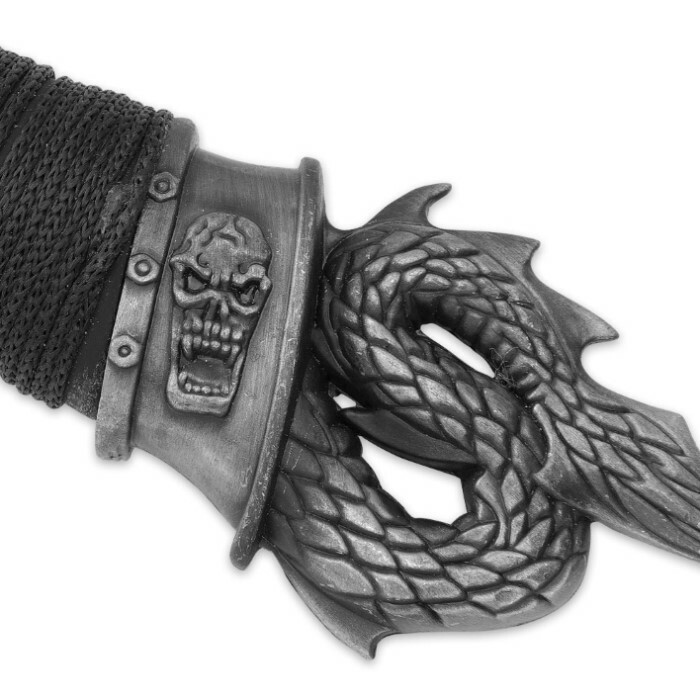 The 6" stainless steel blade is held in the metal alloy dragon's mouth. The pewter-looking handle also features a black cord wrap for a secure grip. 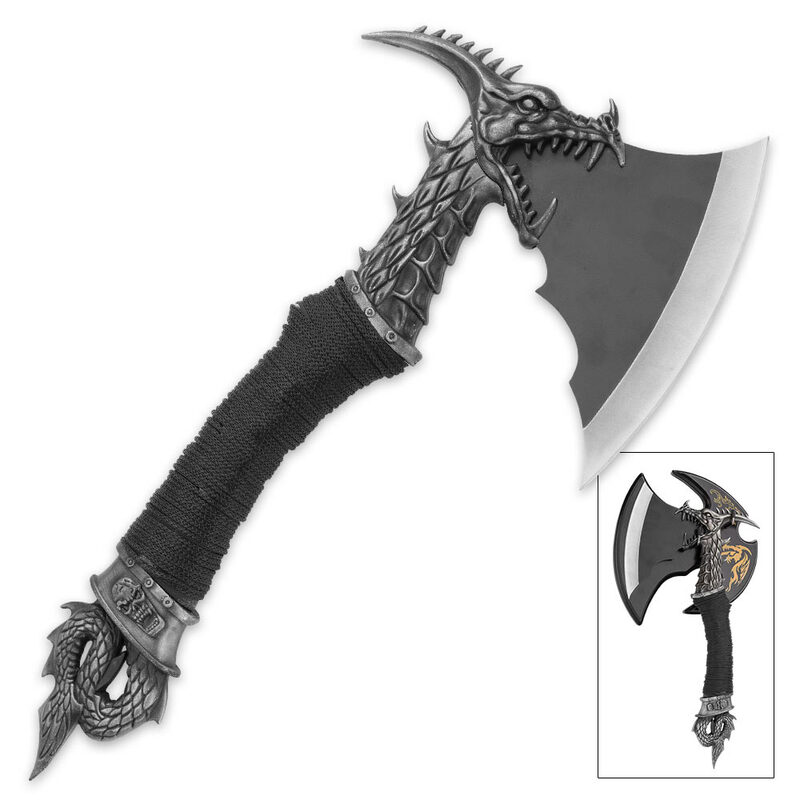 A premium wooden plaque is included to display this fantasy axe. It is 13” in overall length.